20 year old Isabelle Edith Kun, from Ottawa, had visited her local salon to receive eyelash extensions on Tuesday last week. 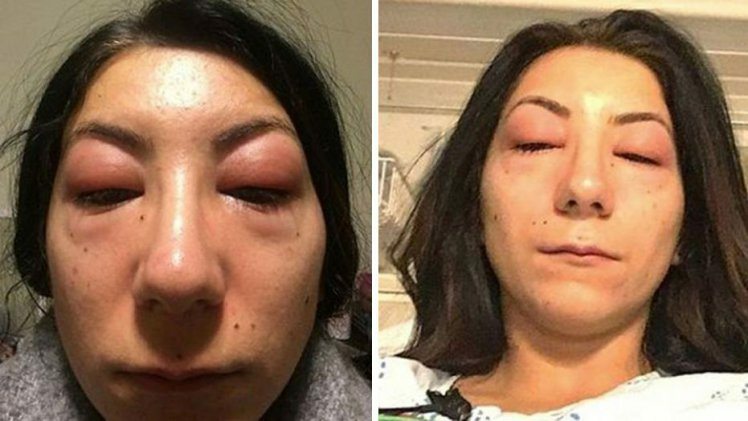 Isabelle was taken to the hospital where she was given both antihistamines and steroids to reduce the swelling, before being sent home and advised to continue taking the antihistamines. Unfortunately the swelling had still not calmed down (as of last Thursday).